Explore stories about our land, people and culture. 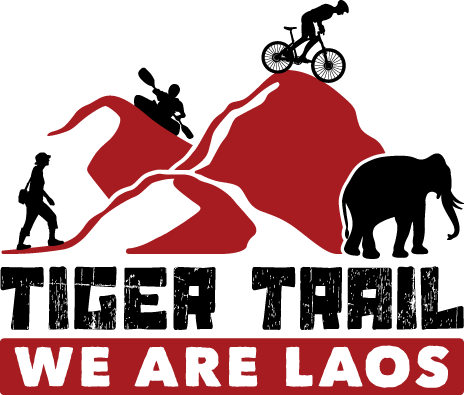 and welcoming people of Laos. TIGER TRAIL I We are Laos. Come to Laos and you will discover impressive landscapes, breathtaking waterfalls, and exotic animals. You will roam the streets of temple-dotted towns, delighted by culinary adventures and remarkable handicrafts. Linger a little longer and you'll find that the heart of Laos is in its people. Experience a culture that is steeped in tradition and encounter people who are rich in unique customs that they are waiting to share with you. Allow us to reveal this heartfelt and personal journey into our country. Xon Yia, a Hmong storyteller in the village of Long Lao Mai, shares a tale that has been passed down by families many generations ago. Volunteers and local people have built the Eco Bungalow to allow visitors from Laos and abroad to experience life in this fascinating Hmong village. Slow down your pace of travel and spend some time interacting with this local community. You are on a journey where no day is like the other. Where a single day can last a lifetime. You are on a road of freedom exploring a country uniquely Lao. A place of diverse cultures nestled in majestic landscapes. You are lighting a path of tales untold. Where your story is written by each new discovery. Discover Khammouane province of Laos, located in the center of the country. The Mekong River Valley in the west is framed by the Annamite Mountain Range which separates Khammouane from Vietnam to the east. The Limestone Mountains are honeycombed with countless caves, some of which for ages concealed forgotten treasures. Mr. Lung Ky from Ban Nong Bua, located at the Ho Chi Minh Trail in the Khammouane province of central Laos shares his personal story during the secret war. His village lived and survived for almost 9 years in a nearby cave, hiding from bombings of the Vietnam war. The community-based eco-tourism project at Nam Et-Phou Louey National Protected Area is one of the few opportunities in Laos to view rare wildlife. It is designed to support alternative livelihoods for local villages and generate community support for the conservation of tigers and other rare wildlife species.